The vision for the Sawmill Lake Club at Sienna Plantation was developed by the talented team at TBG Partners. 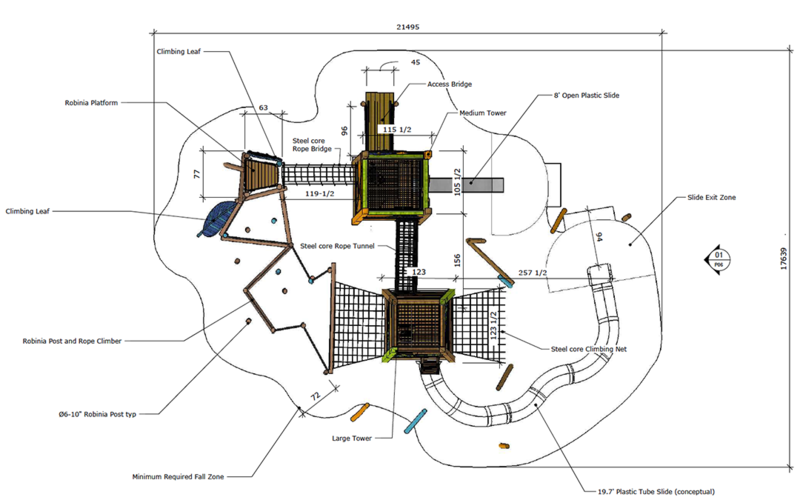 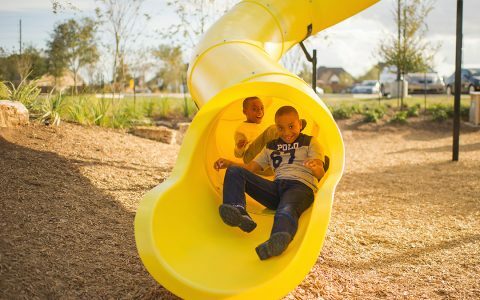 While listening to Otis Redding’s classic hit, Sittin’ On the Dock of the Bay, they imagined a lake-house themed community gathering space that includes a large custom playground. 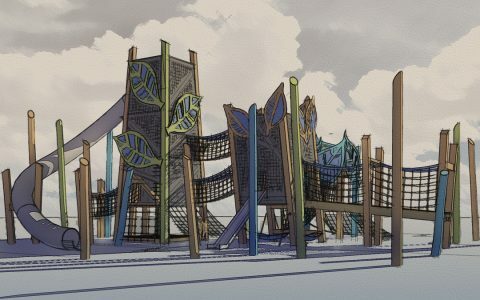 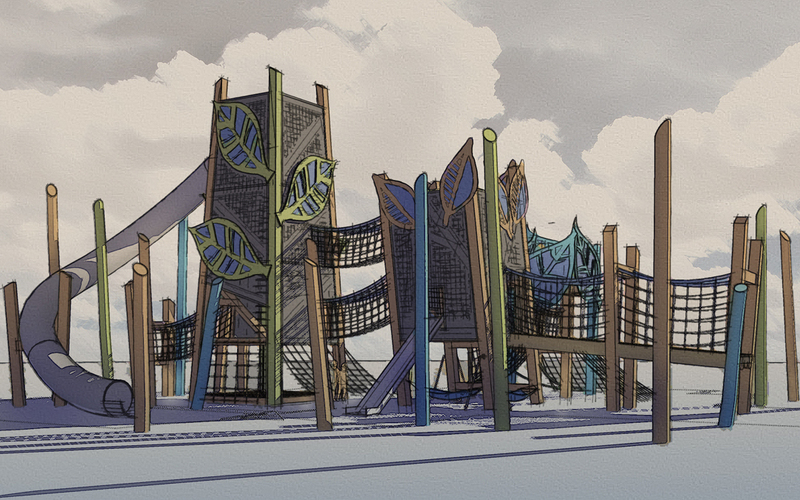 The playground’s focal point are three large and distinctive tree-house towers. A high level of attention to detail ensures that the materials and colors blend well with the rest of the site elements. 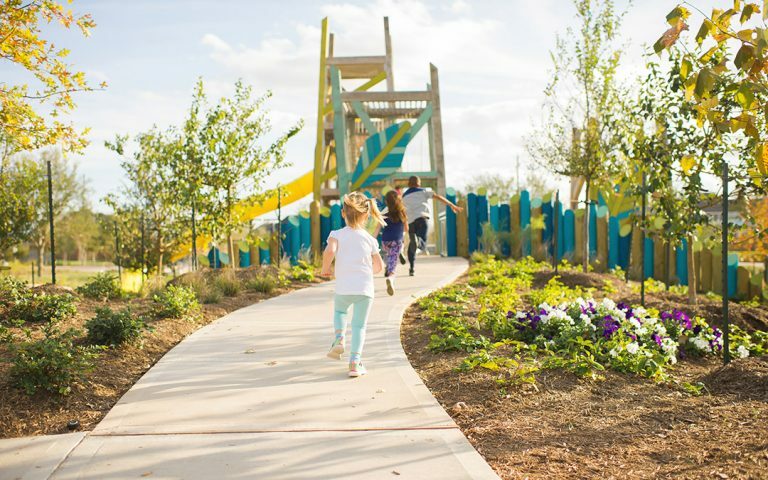 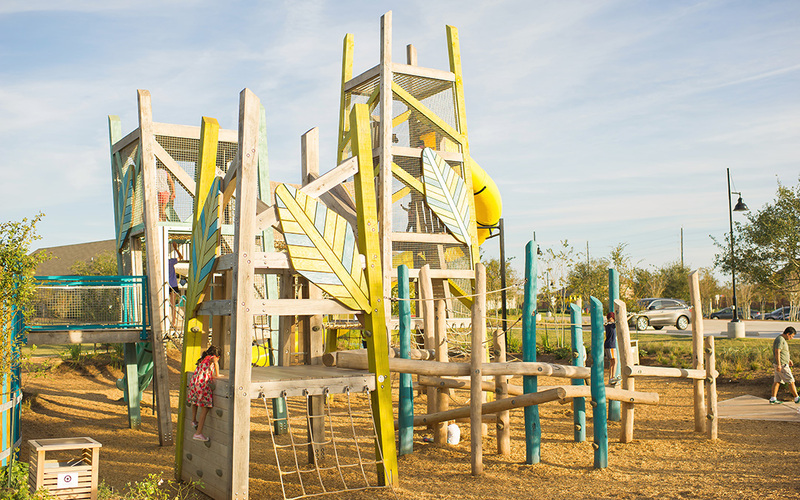 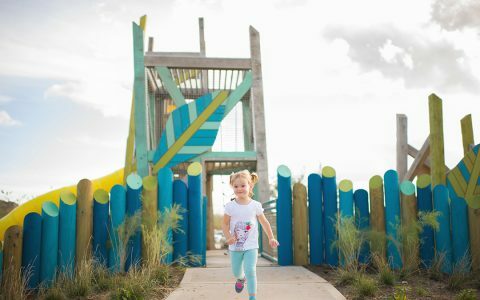 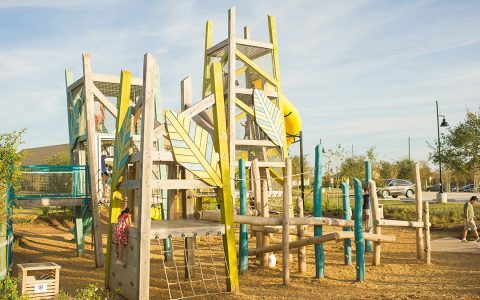 Vaguely reminiscent of leafing vines, the towers bring whimsy and magic to the playscape offering exhilarating height and far-away views. From the tallest tower, a massive tube slide, over 18 feet tall provides an exhilarating escape. 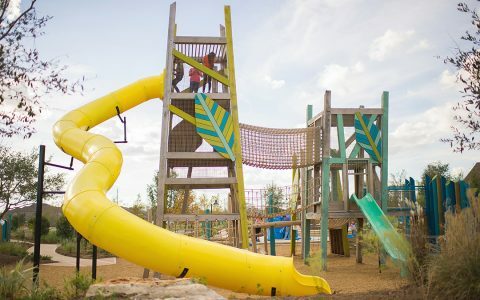 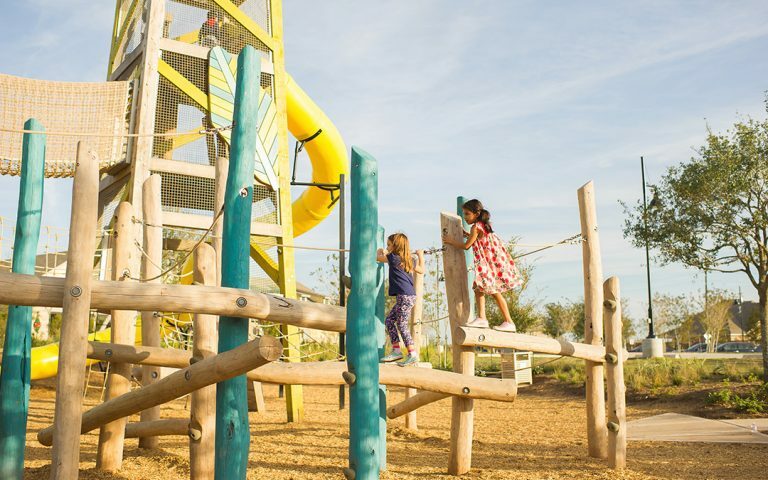 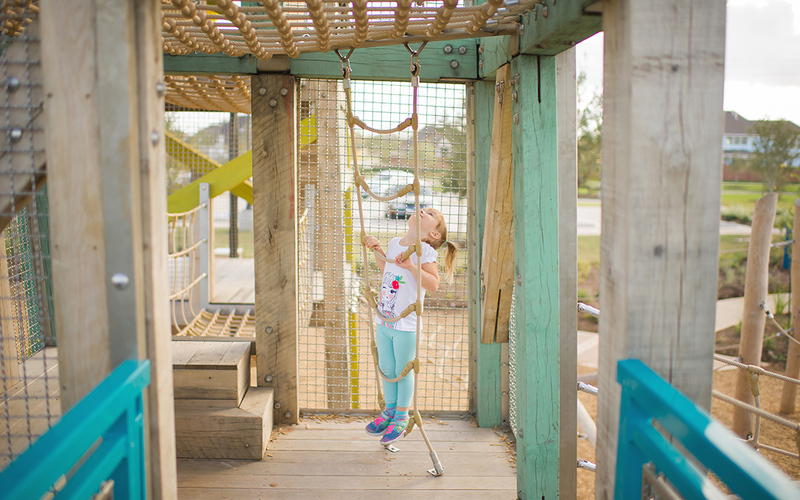 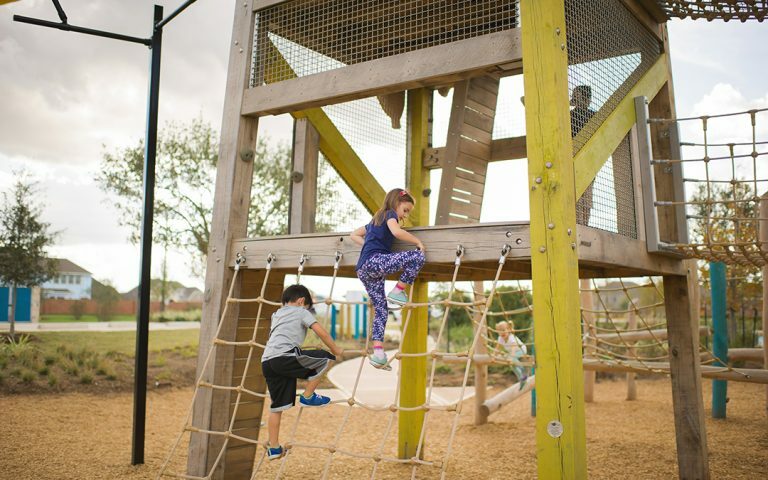 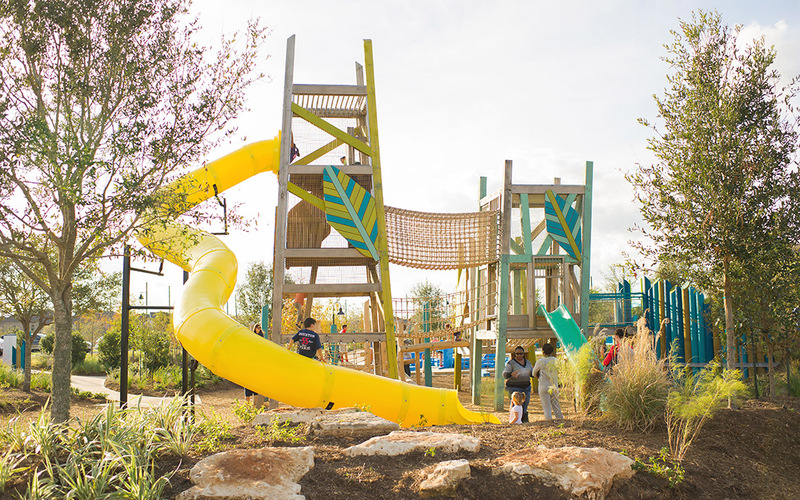 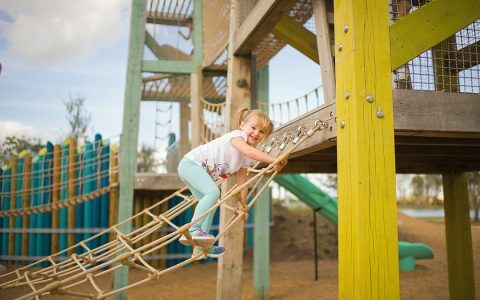 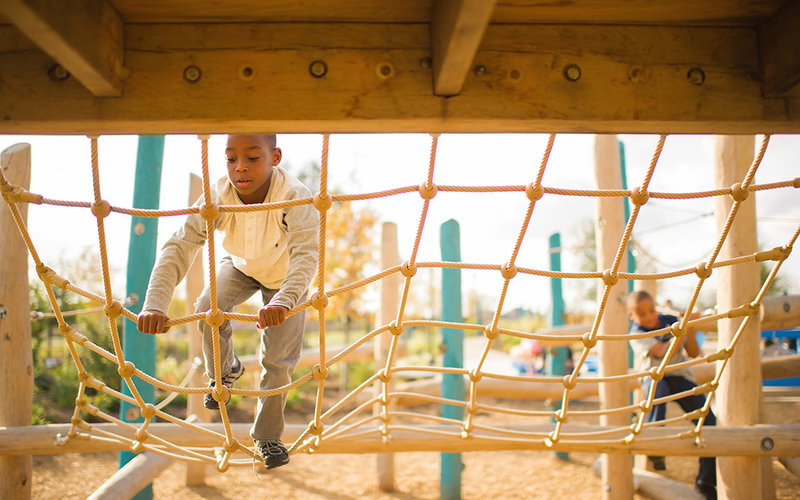 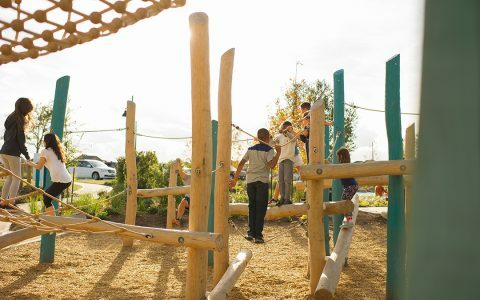 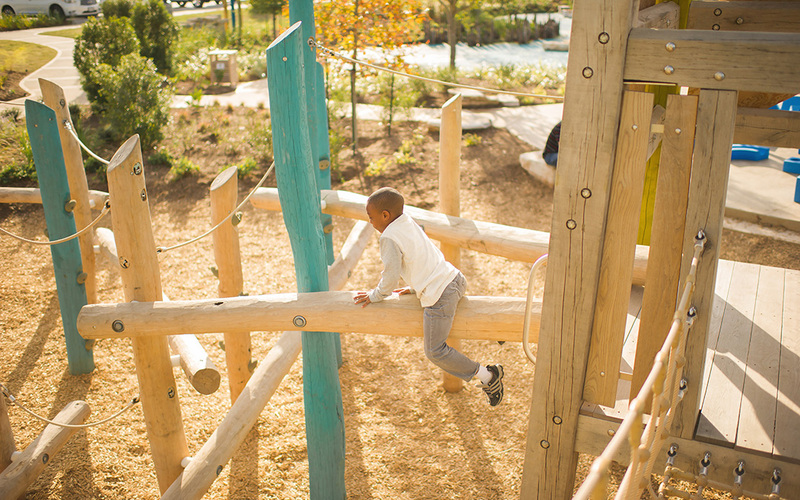 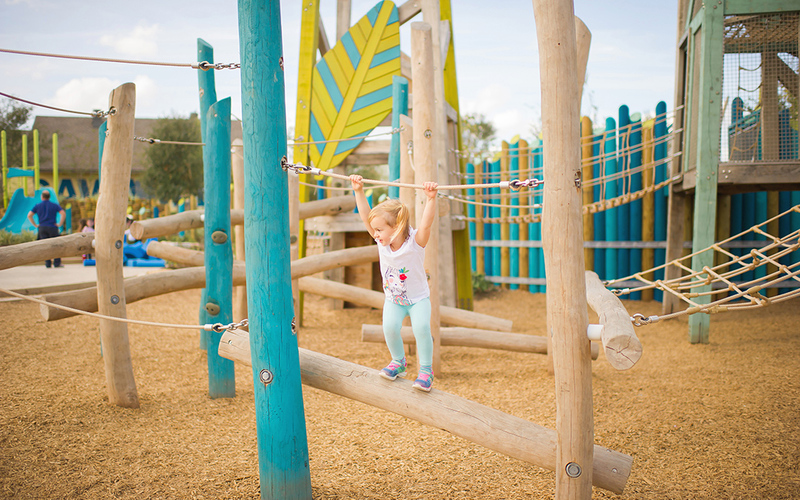 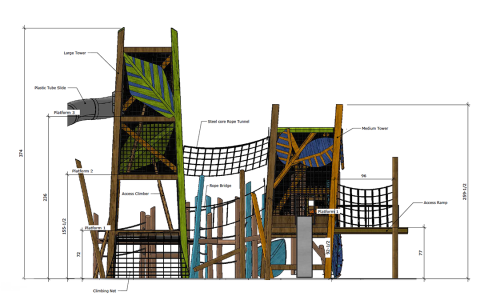 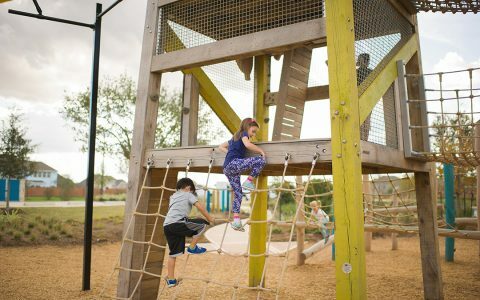 Additional slides, climbing features, log jam™ and post and rope course offer varying levels of challenge and difficulty for different ages and abilities. The design was intentional in creating a non-prescriptive play environment with infinite routes through the towers, timbers and logs. Accessible by solid bridges, log climbers, huge cargo nets, a rope challenge course or suspended rope bridges, children find endless fun, excitement, and challenge here.